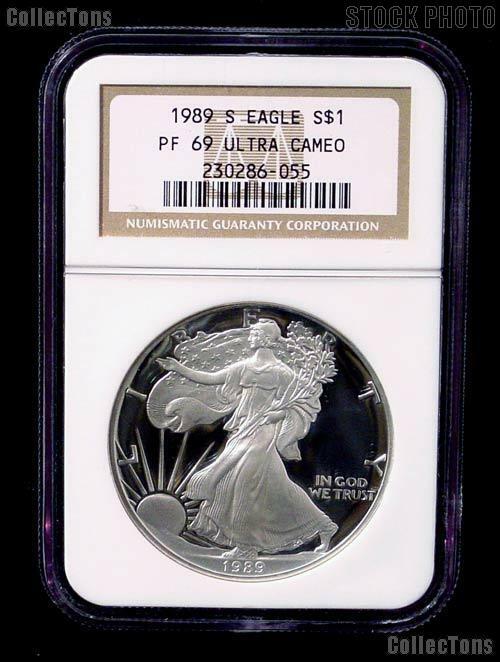 We are pleased to offer for sale this 1989-S American Silver Eagle Dollar coin graded and encapsulated as PF-69 Ultra Cameo by NGC. There were only 617,694 of these 1989 Silver Eagles minted at the San Francisco (S) Mint. 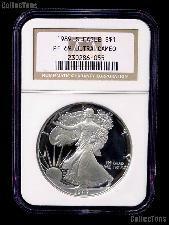 Don't miss out on this rare high grade 1989 American Silver Eagle Dollar in NGC PF 69 Ultra Cameo at this low price!